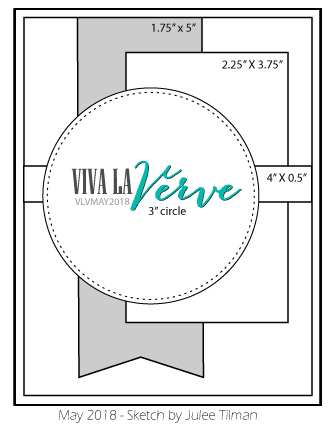 Link up your Viva la Verve sketch challenge creations here to be entered in our monthly drawing! We'll draw a winner at the end of the challenge to receive a $40 gift voucher to the Verve Store. Link up your sketch inspired creations below to be entered in our monthly drawing. Challenge deadline for linking up is 8PM Mountain on Thursday, May 31. If the linky widget is out taking a stroll when you visit, please check back soon or leave your link in the comments and we'll get you added to the list. Looking for more sketch inspiration?